Watercolor 9x12 Depoe Bay Oregon harbor entrance. Also known as the world's smallest harbor. This painting gives a nice view. 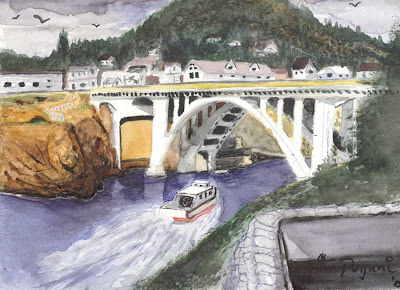 I'm reading: Depoe Bay Harbor Entrance (Watercolor)Tweet this!